For the past few years, the film industry has been releasing movies with extremely powerful messages and explosions of culture. In 2016, “Hidden Figures” came out, shining a spotlight on an untold story about three intelligent black women who helped us win the space race. Starr Carter, a 16-year-old black girl that lives in the predominantly black neighborhood of Garden Heights, has always been taught how to act around certain people. In the beginning of the movie, she introduces “Starr version 1” and “Starr version 2.” One version of herself is for how she acts in her neighborhood, and the other for how she acts at Williamson Prep, her predominantly white private school. She realizes from an early age, that her skin color influences others’ thoughts of her, causing her to always choose carefully the kind of image she portrays. The turning point of the movie happens when her childhood best friend Khalil is driving her home after a party, and a police car pulls them over for no apparent reason. Khalil is asked to step out of the car, from where he reaches into the car and grabs his hairbrush. The police officer shoots and kills him, thinking what Khalil pulled out was a gun. This single moment changes Starr completely, not only as an individual, but also in the way in which she views the world. As Khalil’s story blows up over the media, it only adds fuel to the fire. For the people who had already been enduring countless unjust deaths, Khalil’s death was more than enough to create a desire for action. They want justice for Khalil’s death, and since Starr was the only witness, she has no choice but to become a part of the action. Throughout the rest of the movie, Starr finds her voice. She goes from refusing any publicity, to doing anonymous interviews on television, and finally, leading a protest by standing on the hood of a car with a megaphone. 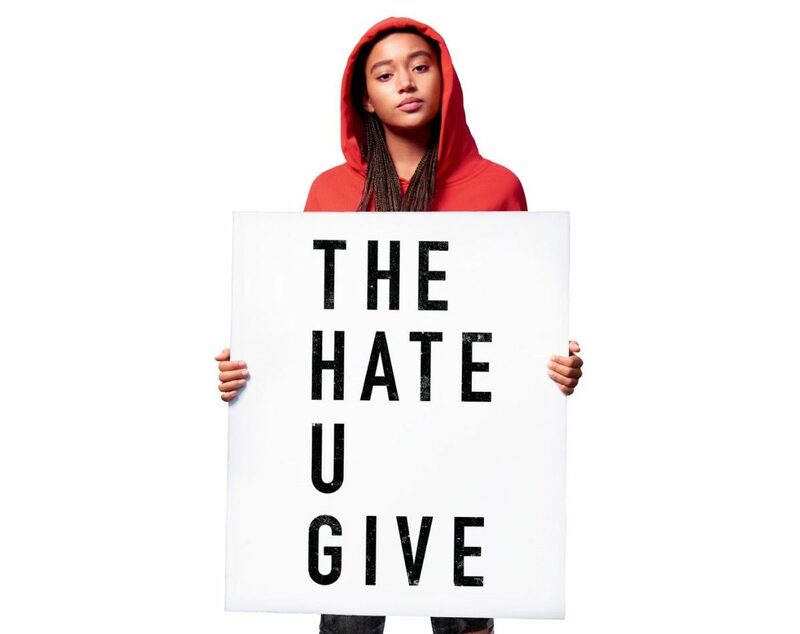 “The Hate U Give” highlights the injustice and importance of a very real social issue today. Too many times, unarmed black men, women, and teens have been killed because the color of their skin generalizes, and is believed to define their character. Unfortunately, in response, society often does not do enough, or even turns a blind eye. This movie is a call to action — making it clear what kind of social injustices we face today, and the necessity of finding a solution.